2011…oh where have you gone! We both thought time went quickly before, but with Matthew it all feels like a blur! Prioritizing our time has become a challenge and skill that we’re both working on. So much so that we again are continuing our environmentally friendly online holiday letter instead of holiday cards this year (click on any photo to view larger version). At the end of January/Early February Greg took advantage of a corporate sales kickoff in Las Vegas to drive down and extend the stay to include some photography in Southern California (Joshua Tree National Park and Mojave Desert), Nevada (Valley of Fire State Park), and Utah (Zion National Park). While he is still working on processing a publishing photos from his trip (time that has purposely been swapped out in favor of spending more time with Matthew), a few made it into his Favorite Photos from 2011list and more will appear over the next few weeks. Greg & Jennifer were able to get away to Hawaii in April thanks to Matthew’s Aunt Diane coming out to stay with Matthew. This was 2011 Sales Club trip from Greg’s work at VMware and over achieving quota in 2010. We were able to sneak in a few extra days on the Big Island and do some sight seeing in our Mustang Convertible rental! The entire family traveled back to Wisconsin at the end of June and early July to visit family and attend the Lato Family Reunion. 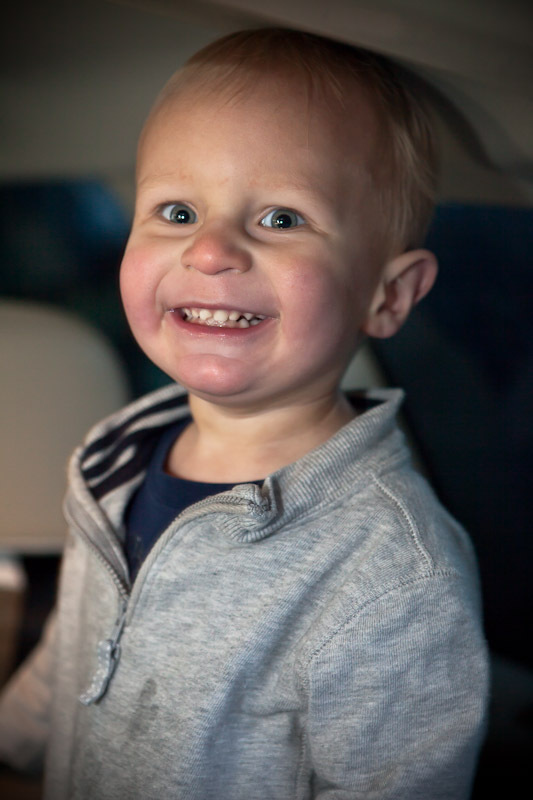 Matthew did great on his first plane flight. Jennifer had to come home early for AIFD Floral Symposium in San Francisco while Greg and Matthew flew back later (thankfully for Greg, Matthew slept on most of the flight). 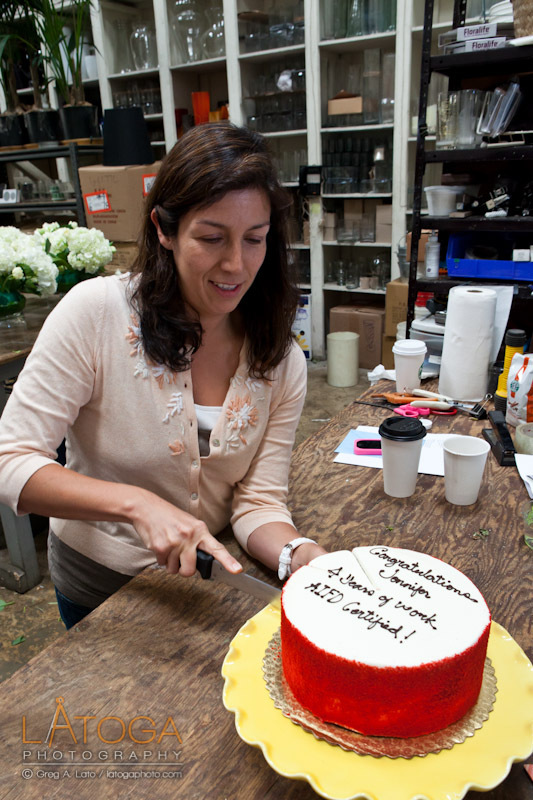 One of the most exciting bits of news from 2011 is that Jennifer passed her AIFD Certification test! The American Institue of Floral Designers (AIFD) is the Floral Industries leading organization for Florists and certification is considered getting yourPHD in Floral Design. After testing last year and just missing it, she passed by doing 5 different cutting edge floral designs in 4 hours with flowers that were provided on the spot…very reality TV-ish! During the year Jennifer was still working part time as Floral Designer and/or Operations Manager for Michael Daigian Designs in San Francisco and enjoys the break from Matthew as well as being able to keep her floral design skills fresh. Greg saw a slow down on the work front in 2011 as his sales territory was reduced to focus on just one customer, Cisco Systems. 2011 was a challenging year for Cisco and a year for Greg to rebuild sales opportunities while also on-boarding a new sales person to the team. The upside to all this was that Greg could focus more time at home with house projects like repainting half the house, getting caught up on the endless list of not done yet projects, and just spending more time with Matthew. 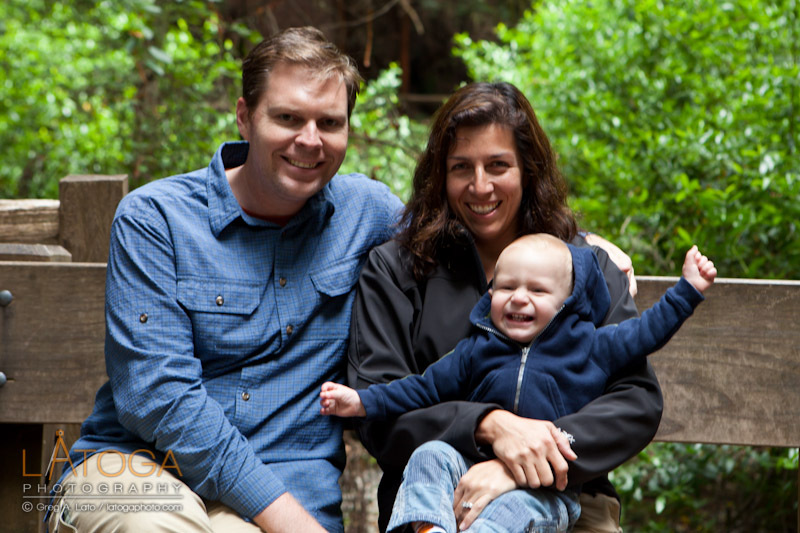 Matthew celebrated his 1st Birthday in September with a small birthday party. 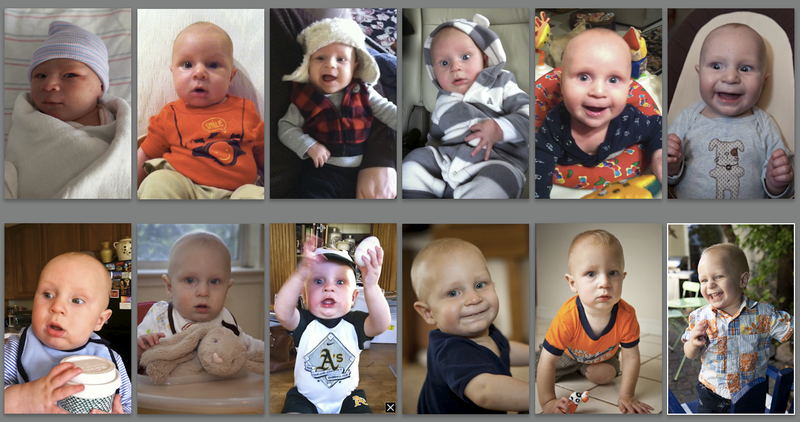 Looking back, it has been a year of firsts for him: first crawling, then quickly scooting around furniture, and in no time walking and talking his first few words. He is still mostly saying mamma and dadda with just recently an occasional kitty, doggie or look mixed in. We’re biding our time as we fully expect the talking flood gates to open soon. He is fully aware of everything that is going on around him and has turned into our little helper around the house. His latest trick is pushing the dog crate around the kitchen (sometimes with Napoleon and his entire 20 pounds inside) and then crawling up on top of the crate to get into the top drawers or the counter top! Jennifer’s Mom and Aunt are still doing well and staying with us. They enjoy, and we appreciate, them helping out with and occasionally watching Matthew when needed. Matthew’s early bed time and Jennifer’s aunt being at home has even allows us to sneak out to catch a few movies every once in a while! Back when Matthew was born, Greg’s office became Matthew’s bedroom and the unused side of our Bonus/TV Room, which was previously used to store boxes and extra stuff, became Greg’s home office. So all four bedrooms of the house have been full for all of 2011. And the house will become even more full in 2012 as we are expecting Matthew’s sibling baby sister in May! We’re all excited to find out if it will be a baby brother or baby sister early in January (Jennifer thinks, or maybe hopes, it will be a baby brother). January 3rd, 2012 Update: we had the Dr. Appointment today and found out that we’re expecting a girl! So that will even out the count amongst the cousins 4-6, boys aren’t pulling away yet. We all hope that 2011 was a great year for you and that you have an even better 2012!